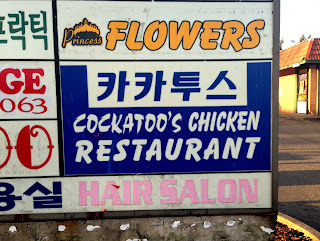 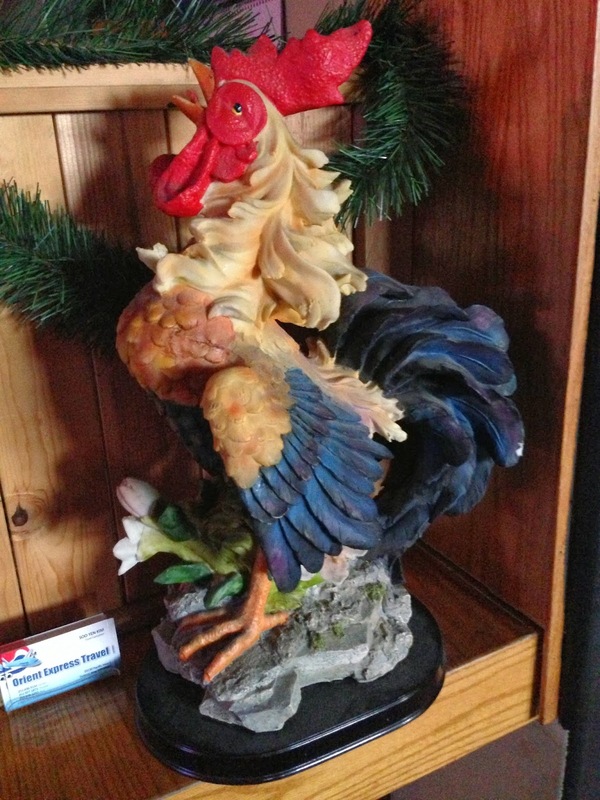 One of the few Korean Fried Chicken joints in the Seattle area, Cockatoo's Chicken Restaurant is also the only bar I've been in that serves everyone complementary popcorn and a fried egg, cooked on a hot plate at your seat. 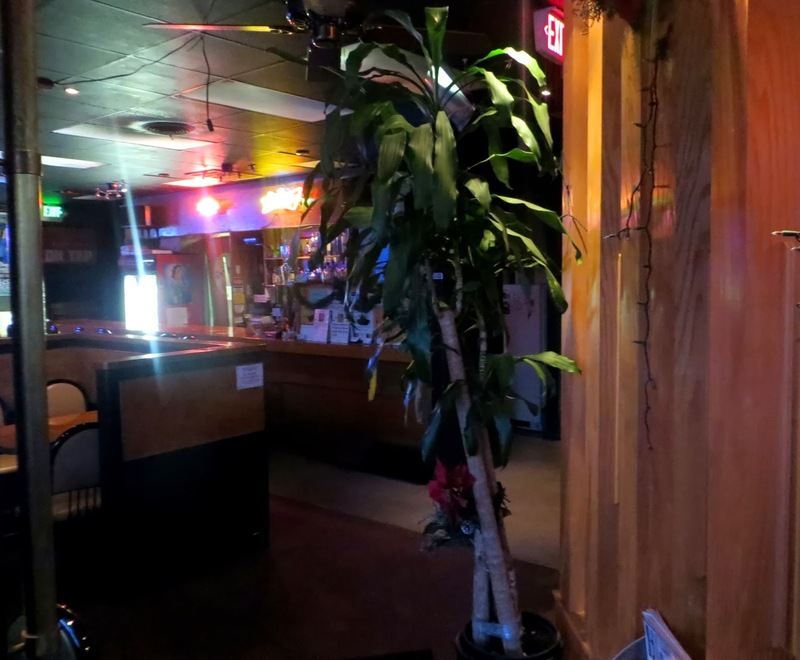 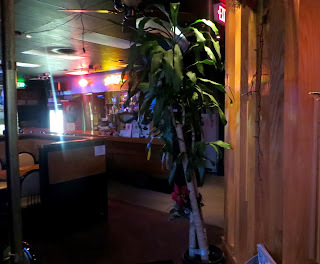 It's a divey, karaoke bar, set in a strip mall, dark with Christmas lights up year round, Korean music videos playing on the TVs, an odd hodgepodge of decorations, and serving cheap, strong drinks. For food beyond the free egg and popcorn, the more adventurous might go with the Seasoning Pupa, but I stuck to the chicken wings. 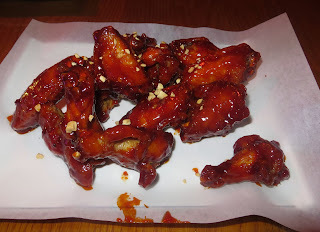 I liked the wings better than most, and thought they indeed had a very nice balance of sweetness and spiciness. 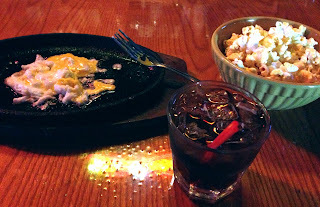 For drinks, I stuck with a safe dive bar order (Jack and Coke). 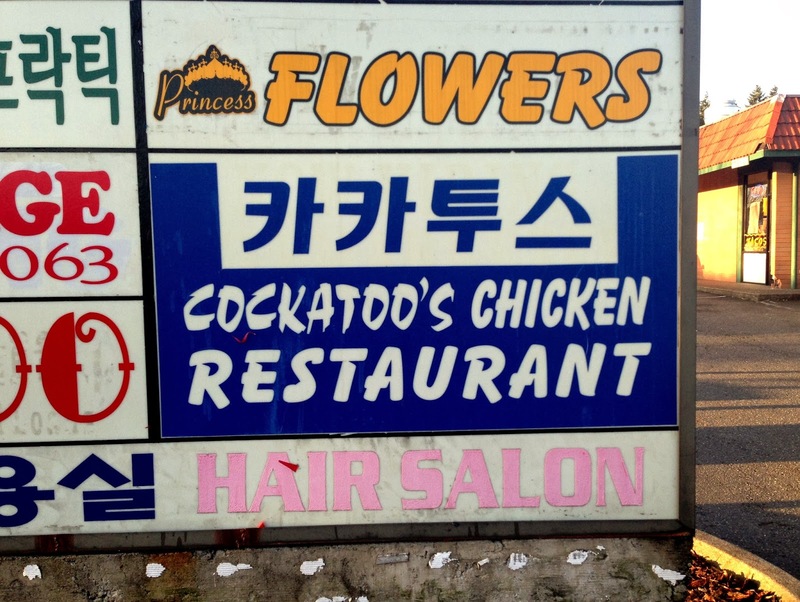 If you go, it's nice to have it on your GPS, as despite the distinctive name, it's not easy to pick out from the highway. 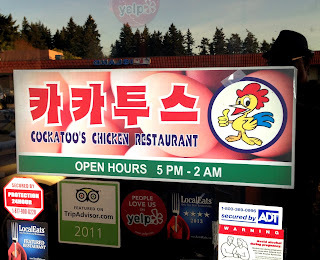 For me, the wings were not distinctive enough themselves to frequently justify a drive to Federal Way, but the atmosphere -- and the egg, which for some reason tastes much better than a normal fried egg -- make it worth at least checking out.